ARMA is the umbrella association body providing a collective voice for the arthritis and musculoskeletal community in the UK. Our members range from large professional organisations and specialised support groups for rare diseases to major research charities and national professional bodies. ARMA strives to transform the quality of life for people with musculoskeletal disorders. This is achieved through partnership with its member organisations, by shaping policy and best practice. ARMA operates as a charity, maintaining an independent voice while working withindustry and government partners. The operational and activity costs of the organisation are raised via subscriptions from our member organisations and support from our Corporate Partners. ARMA seeks support from Corporate Partners for its core capacity building and advocacy activities and to help to initiate new and expand existing activities. ARMA has an open, transparent framework to guide its funding agreements as detailed below. The purpose of this policy document is to provide a framework for how working with external organisations should be initiated, managed, and maintained with the intention of making sure that difficulties arising through inappropriate relationships is minimised, and to ensure that any such relationship is in line with the stated policies and goals of ARMA and its member organisations. Donations, external support, Corporate Partnerships, or collaborations with an external organisation where resources are provided directly to ARMA fall under the guidance of this policy. This includes, but is not limited to, cause-related marketing, affinity marketing, sponsorship, project, campaign or initiative funding, in-kind support and conference sponsorship. This policy also applies to advertising in ARMA publications. It is the responsibility of all members of ARMA staff and Board of Trustees to correctly implement this policy on every occasion that a relationship with an external organisation is implemented. All information passed to ARMA should be held in strictest confidence. ARMA strives to have clear processes for its work including its decision-making processes, utilising its website and other appropriate communication tools. This includes a ‘how we are funded’ section of the website displaying our member organisations and Corporate Partners. Specific figures detailing level of financial support are not required to be displayed publicly but are clearly available by request to ARMA. ARMA will produce a strategic plan of activities for the year(s) ahead with clearly defined objectives (e.g. policy to influence, action to be taken). Corporate Partners may wish to support this strategic plan in whole or in parts, but are not involved in setting ARMA’s strategic priorities. ARMA will retain editorial independence on all ARMA materials. All sponsorship and collaborative efforts between ARMA and Corporate Partners must advance ARMA’s mission, as assessed by the Board of Trustees. ARMA will not accept restricted or designated funds for activities that are inconsistent with the vision and mission of ARMA and its strategic and other plans. By the same token, at no point may the Corporate Partner veto what ARMA decides or says or publishes. ARMA will strive to have multiple companies supporting its activities to avoid the appearance of an alliance with any one company, its products, legislative agenda or regulatory concerns. Any external relationship should be based on integrity, openness, transparency, independence, accountability, mutual respect and benefit for all concerned. Each party should be clear about its roles and responsibilities and the limits of these and these together with all material terms of the arrangement, should be consistent with these guidelines and must be set out in a written, binding agreement between the parties. 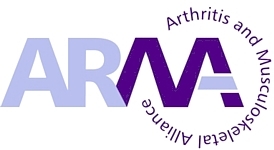 ARMA will not ally itself in any way with any organisation whose activities are likely to be seen as damaging to the health of people with arthritis. There will be situations where there is uncertainty about the suitability of collaboration with a company or association with a product. Caution must be exercised in all cases and due diligence (to allow an educated decision to be made) should be completed. The Board of Trustees will be responsible for making final decisions in any areas of doubt. • Where the relationship will be counter-productive to ARMA. It is vital that when ARMA enters into a partnership with a company that there are no conflicts of interest that might arise and adversely affect any existing relationship. • A company wanting an exclusive partnership – ARMA will encourage multiple partners backing its activities. Exclusivity of funding for projects may only be considered for a specific and defined time period where it is of exceptional benefit to ARMA. • However, no partnership will be offered exclusively to any one product within a product category (for example, one pharmaceutical company to the exclusion of others) unless, as indicated, there is exceptional benefit to ARMA. All members of ARMA’s Board of Trustees and staff are obliged to disclose any conflicts of interest in order to avoid potential ethical conflict. ARMA does not endorse companies, individual products or services whether or not labelled ‘for people with arthritis’. However, ARMA will enter into a cause-related marketing agreement with a corporate partner, employing its name and logo on a commercial product under carefully controlled conditions which will be outlined in a contract. ARMA will provide appropriate recognition of company sponsorship but such recognition should not be interpreted as endorsement of particular policies or products. ARMA holds final approval of all uses of its name, logo and other identifying symbols. These symbols can be used by commercial entities only if their use furthers ARMA’s mission and only with the written consent of the ARMA Director.